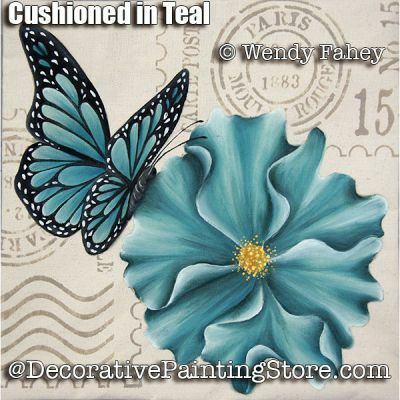 Pretty teal flower painted over a postmark from Paris stenciled pillow cover. 16"x16" or 13"x20". Could also be painted on any surface of your choice. Pattern includes photo, step-photos, instructions, line drawing.